Spring Clean Your Mouth with Firefly Toothbrushes! Spring is definitely here! Have you started spring cleaning yet? Have you gotten the itch to deep clean, get rid of junk and unused items laying around the house and scrub, scrub, scrub? The sunshine and warmer weather definitely inspire me to do so! But spring cleaning means not only our homes and yards but also remembering to care for our teeth and "spring clean" them too - meaning to replace your old toothbrush with a fresh new one! 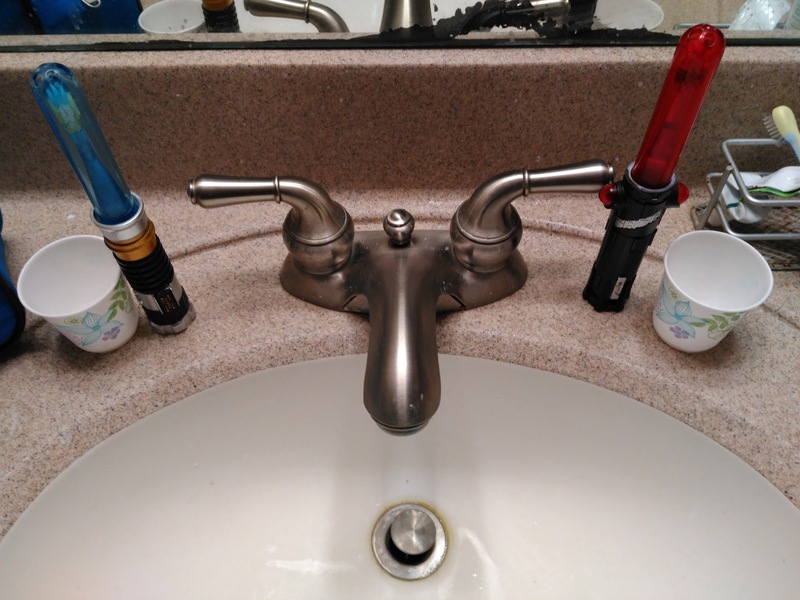 We "spring cleaned" out our bathroom and replaced all the children's toothbrushes with fun Star Wars themed toothbrushes from Firefly! My children have never been so excited!!! 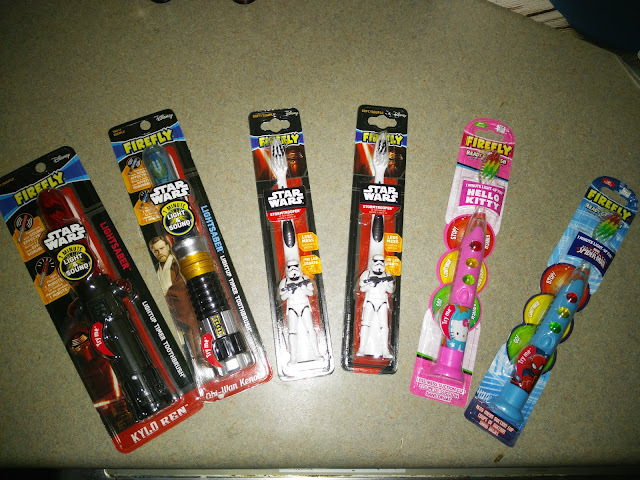 Firefly offers so many fun toothbrushes that have lights, sounds and fun characters and they have a new selection of toothbrushes to choose from including Star Wars and Hello Kitty toothbrushes! My children are excited now to brush every day with their Lightsaber toothbrushes! They make noise and light up and it is now fun to brush!! !